Hello and. happy Sunday morning and Happy Earth Day! I wanted to do my part by planting vegetables but given our cooler than usual temps, that will not be happening quite so fast. It’s hard to believe we are almost in May! Though lately its feeling like March, hope it will warm up soon because I am feeling very antsy to get to my local garden center/nursery to start doing some planting. 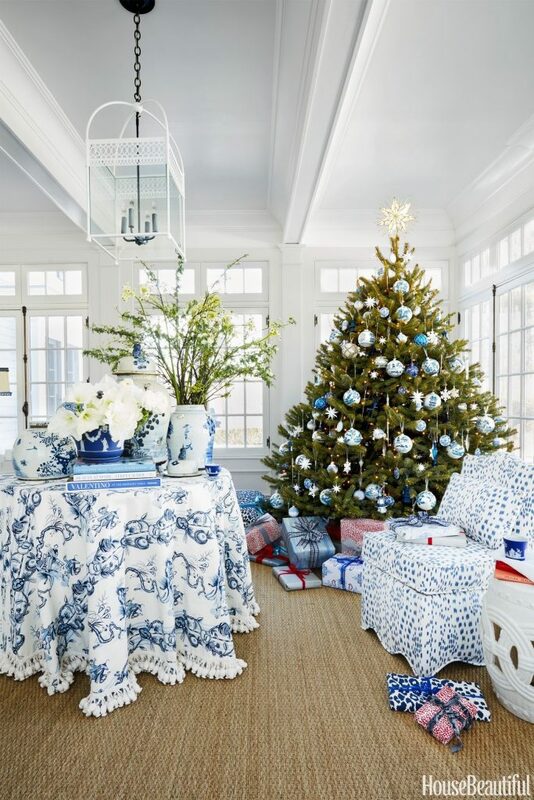 1 JENNY WOLF INTERIORS I first found out about her when she used my ornaments for a beautiful holiday spread she did with House Beautiful. 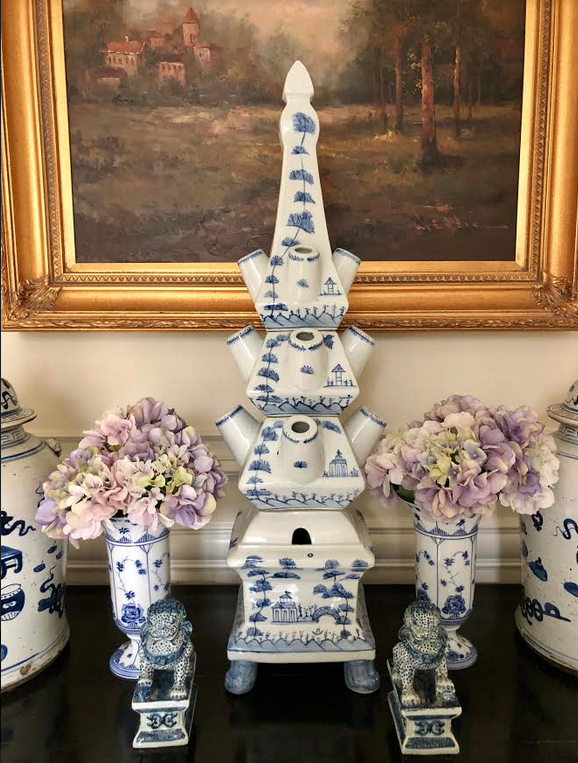 It was such an honor to see my blue and whites/ ornaments adorning the tree she did in that beautiful home, here they are below. Click here to find out more about Jenny Wolf. Then upon looking more into her work, I felt like I kind of met my design soulmate. She has such beautiful elegant, timeless taste. 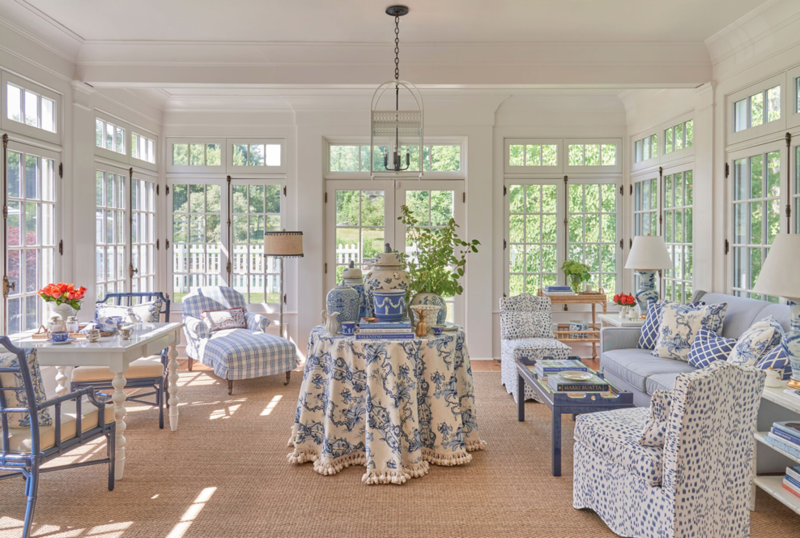 This home in Litchfield in particular really caught my eye, a feast for the eyes for any blue and white lover! 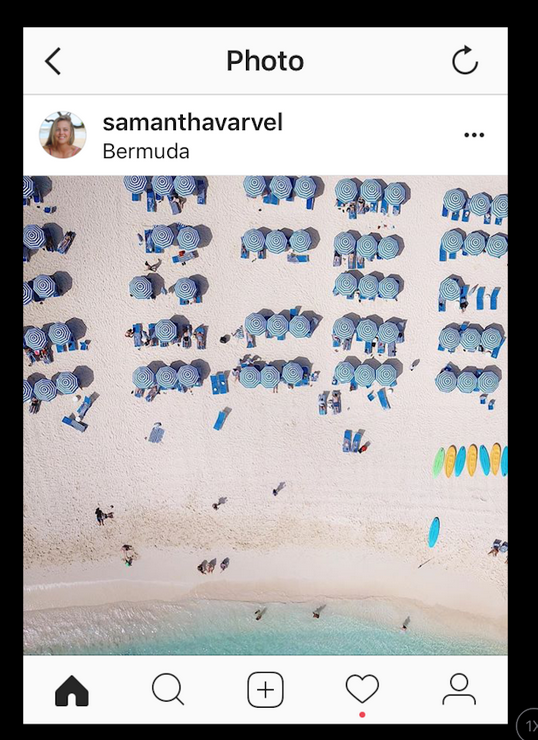 2 INSTAGRAMS OF INTEREST More beauty this week and some wonderful new accounts that you might want to follow too. 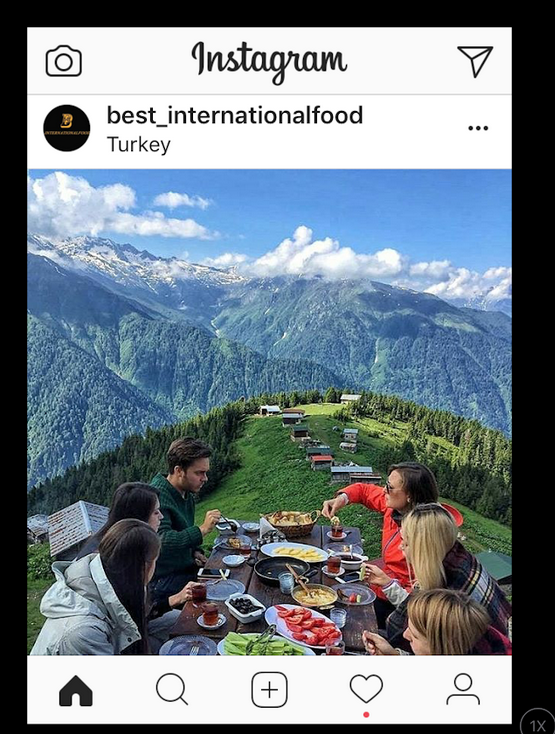 Never too much inspiration on Instagram, keep it coming! 6. 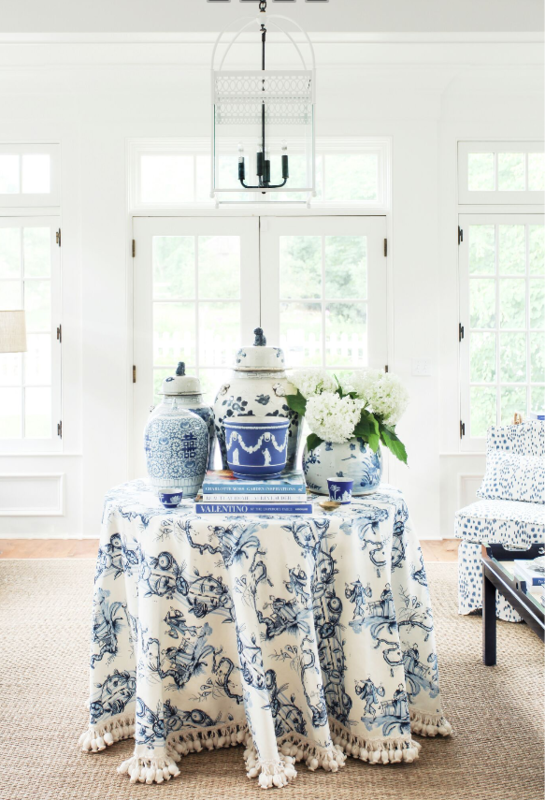 MY AD AND A FEATURE IN HOUSE BEAUTIFUL! 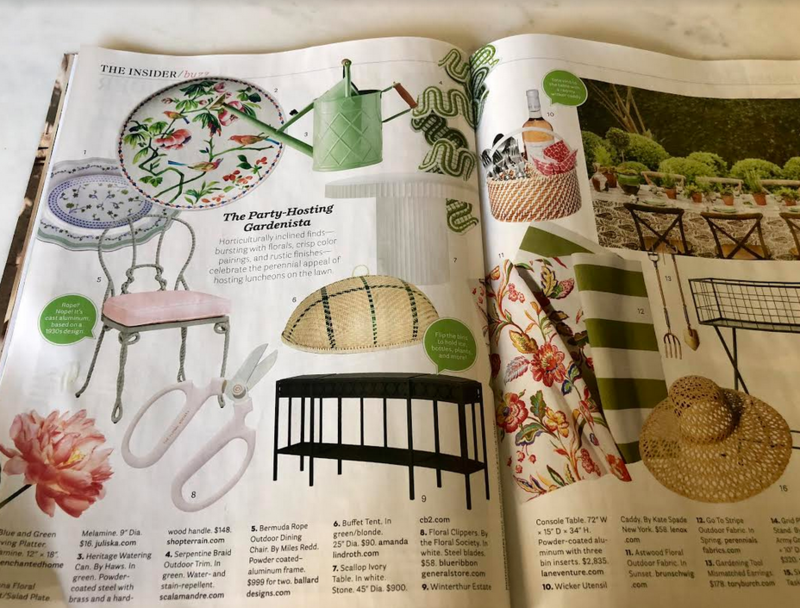 I was so happy to see one of my melamine platters (coming in this week) featured in House Beautiful’s gorgeous new May issue, one of their best in a long time. Then seeing my beautiful ad come to life put a smile on my face:) This issue just started getting sent out to subscription holders and the issue will go on sale I believe May 24th, it’s a good one! 7. SUNDAY’S SURVEY. Coffee!! One of my most favorite things on this earth….and one I cannot live without. Although I have changed my coffee habits considerably, went from 3-4 cups a day to one. I do not use Splenda anymore only use half of a Stevia extract and a splash of half and half instead of my beloved Coffeemate and even on occasion have black coffee, a first for me! On rare occasions, I might have an afternoon cup but the one cup in the morning is like m own little alarm clock, I actually look forward to it. I was talking to someone who told me she has 4-6 cups a day!!! I was shocked, she is in a very cut throat industry (finance) and not sure if that has something to do with it. But I would be bouncing off the walls if I ever had that much, I guess your body becomes conditioned to it. How about you, are you a coffee drinker? How many cups? Which best describes you and coffee? That’s a wrap for this Sunday. Hope the sun is shining and those birds are chirping, spring is here whether it feels like it or not. Finally though we are getting into the 60’s and I am loving every second! Thanks for stopping in, wishing you a fantastic day and end to your weekend. Until next time……. Beautiful post as always. 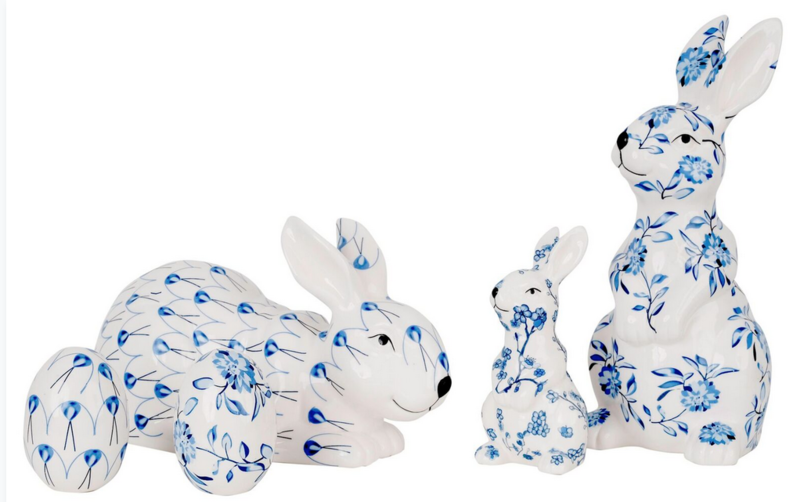 The bunnies and eggs are amazing, cannot wait. 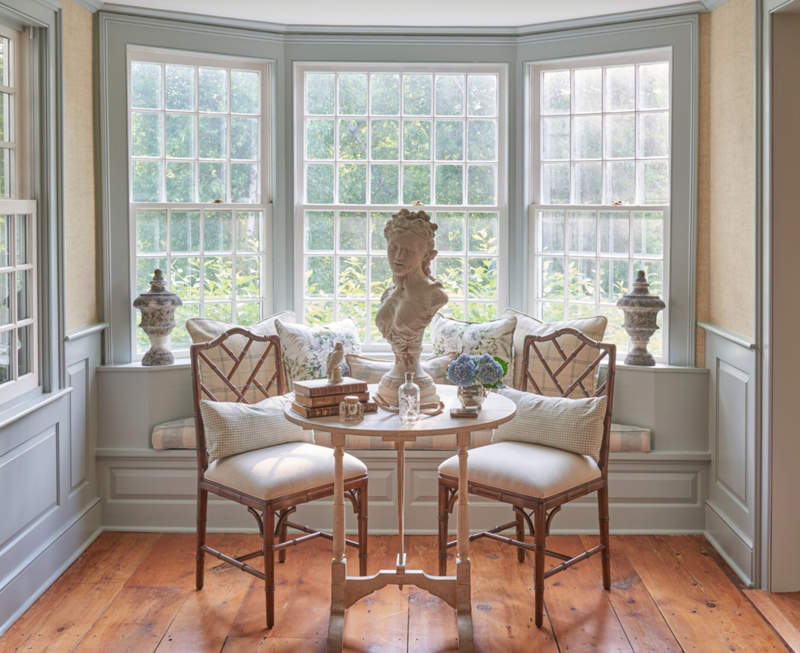 Love the interior design pictures and your tweaking is inspiring me to do some of my own today. Congratulations on your feature and ad! Barbara was indeed a woman of substance and one who I have always greatly admired. Our world needs more like her. Have a nice Sunday, Tina. I have one morning coffee only. That choice is not on your poll. 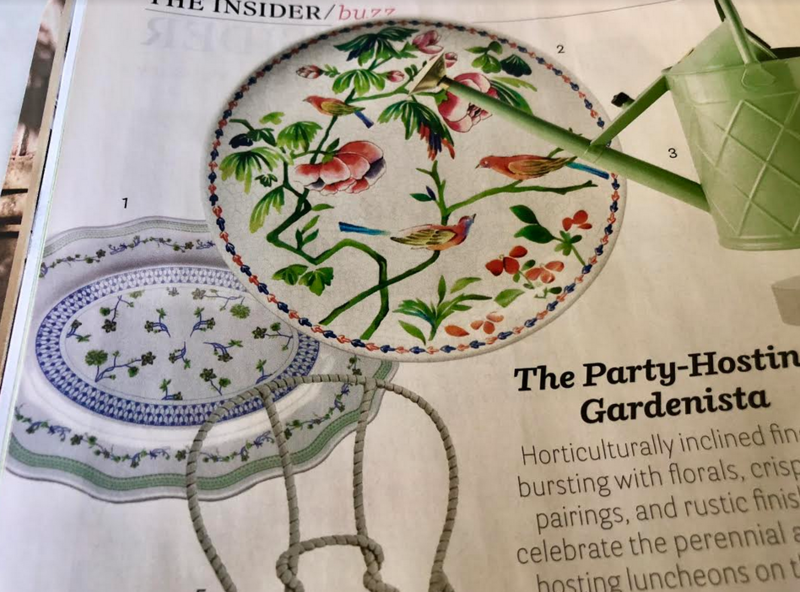 Love that your beautiful melamine plates made the magazine. Good for you. Coffee with a sprinkle of stevia and splash of half-and-half is my go to as well! Always on the hunt for a good coffee and would love to hear recommendations from your readers! 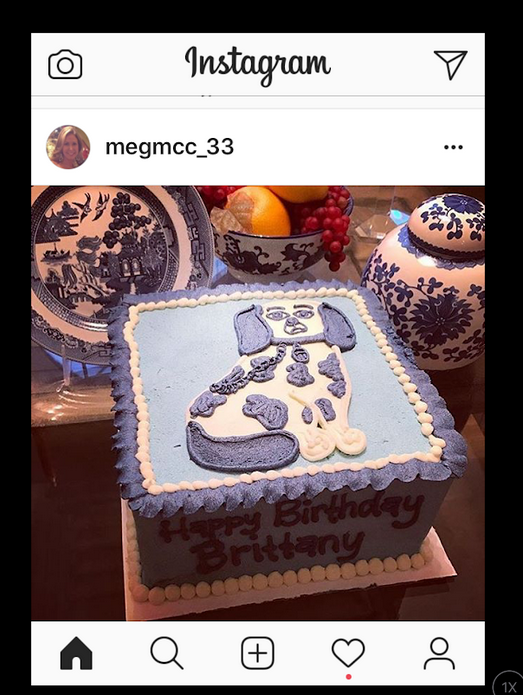 Congrats on the House Beautiful mention. The melamine is really pretty. Coffee…I love it but it doesn’t like me. I have some, here and there, more in the winter months. Iced coffee in the warm months is good if properly made. Have tried to drink mostly water for maximum hydration and have felt more energetic as a result. Coffee is a diuretic, so have a big glass of water sometime after drinking your coffee. Thanks for another lovely post. Great photos. Always look forward to your beautiful Sunday post! I am a tea drinker myself so did not participate in the poll. Barbara was a remarkable woman! 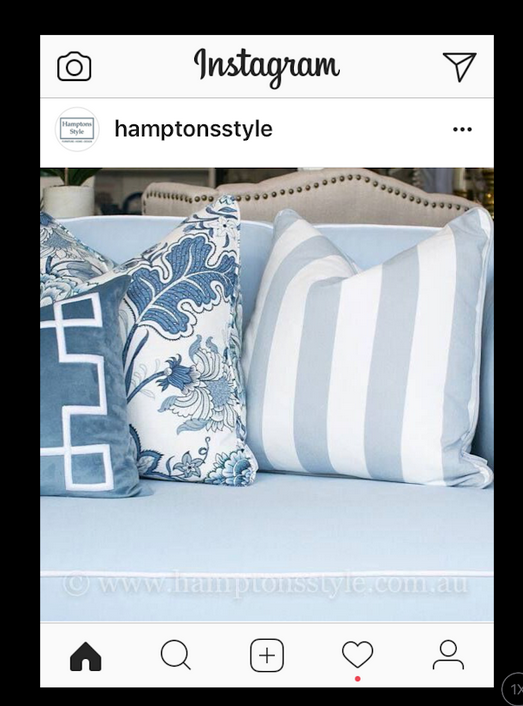 Your advertisement is so lovely and stays true to your brand of elegance and classic blue and white. Your Barbara Bush tribute brought tears to my eyes. Great post! 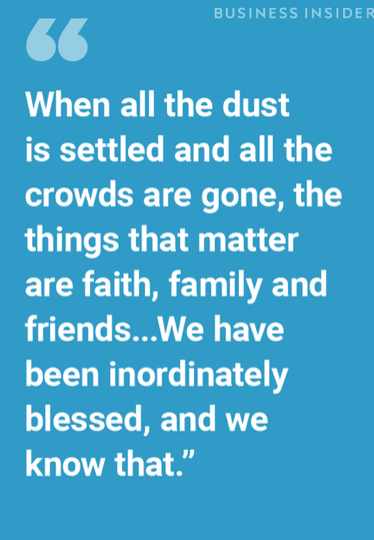 Thank you for the tribute to Barbara Bush and thank you for including her quotes. 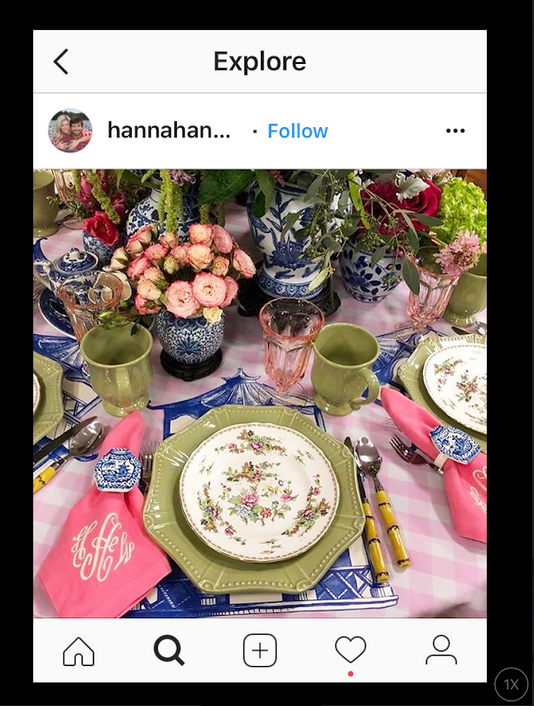 House Beautiful was smart to include your products, because popular bloggers dictate taste and create a market in today’s world. Magazines only arrive once a month, if that, and the quality of paper and photography is third-rate compared to what they once published. Your blog is wonderful and you put so much effort into sharing beauty and interesting topics. Thank you! 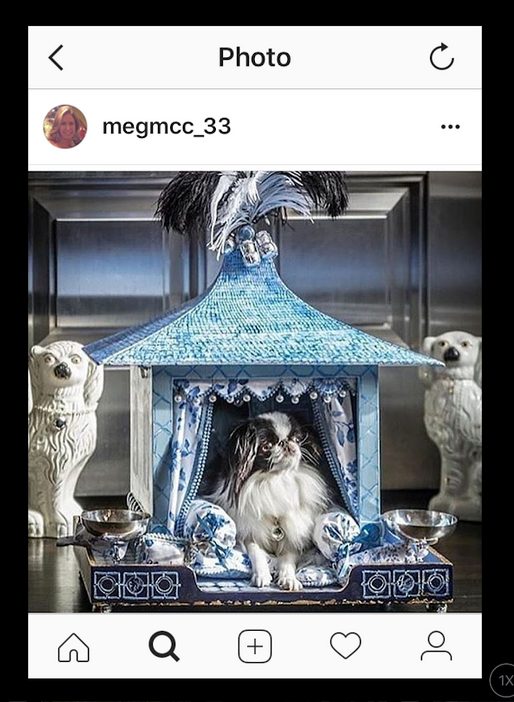 Oh, that little dog house!!! 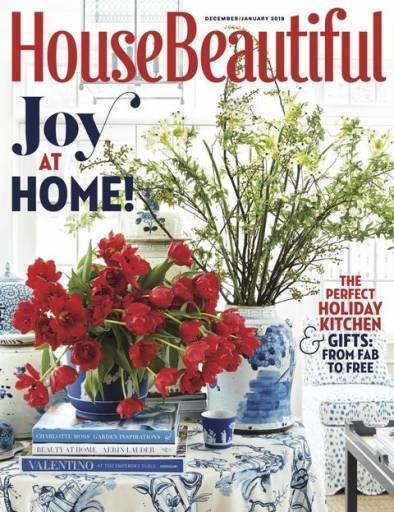 I don’t usually buy print magazines anymore, but will make a point of picking up this May issue of House Beautiful, it looks delicious! I like my 2 cups of coffee (with skim milk), but I can only drink it in the mornings, never afternoon or evening, or I’ll never get to sleep. 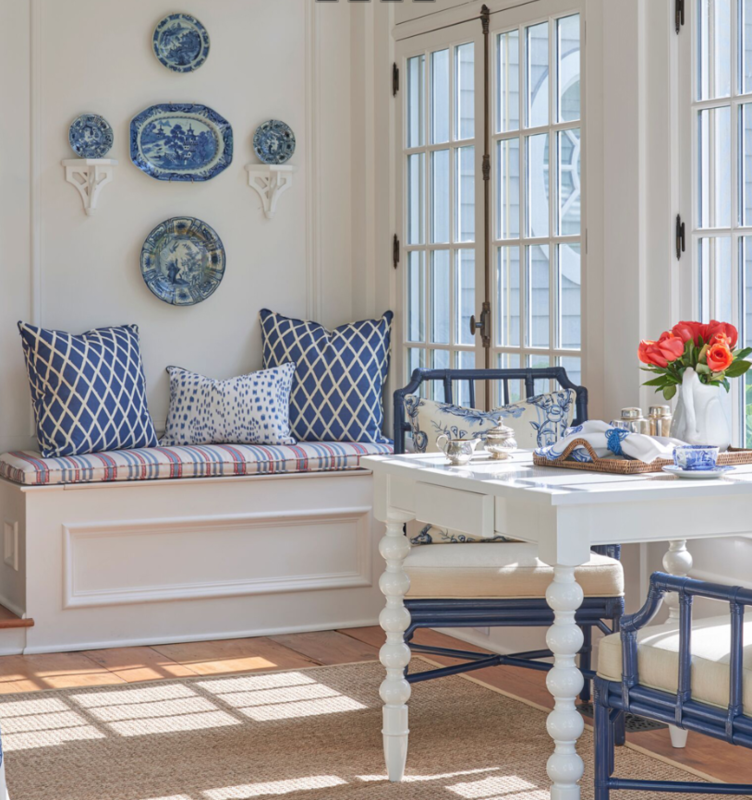 I can hardly wait to get my copy of House Beautiful magazine. I am going to pour myself a glass of iced tea (not a coffee drinker), sit on my deck and read all the pages. 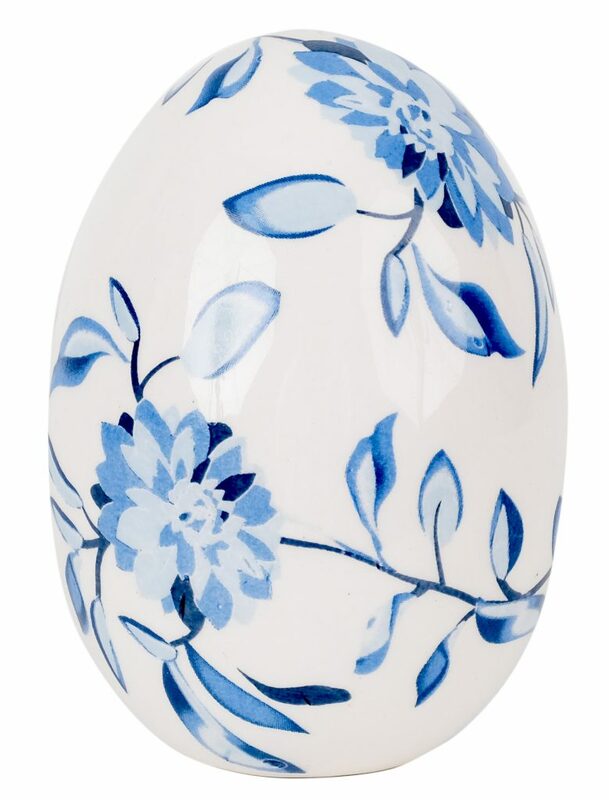 Have a great spring Sunday. You’ve hit the big time! 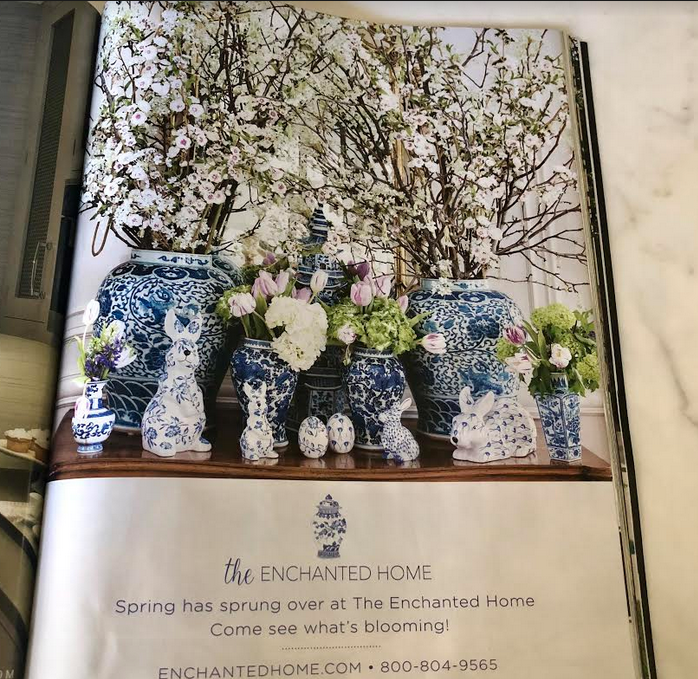 Both a feature and an ad in House Beautiful! I can’t wait for my issue to arrive. Have a lovely day. Can’t wait for the bunnies and eggs! 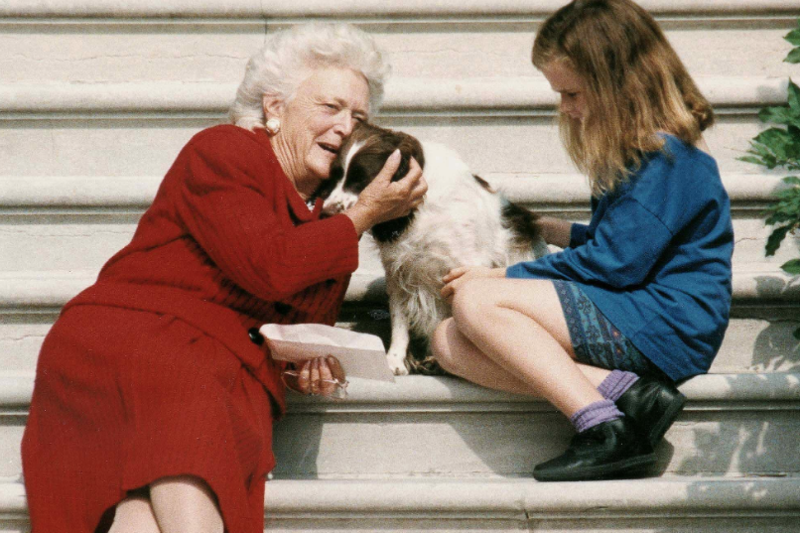 Beautiful photos and commentary about Barbara Bush. 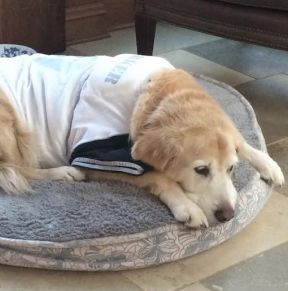 Still brings tears to my eyes to see photos of your beloved fur baby…… miss mine too. 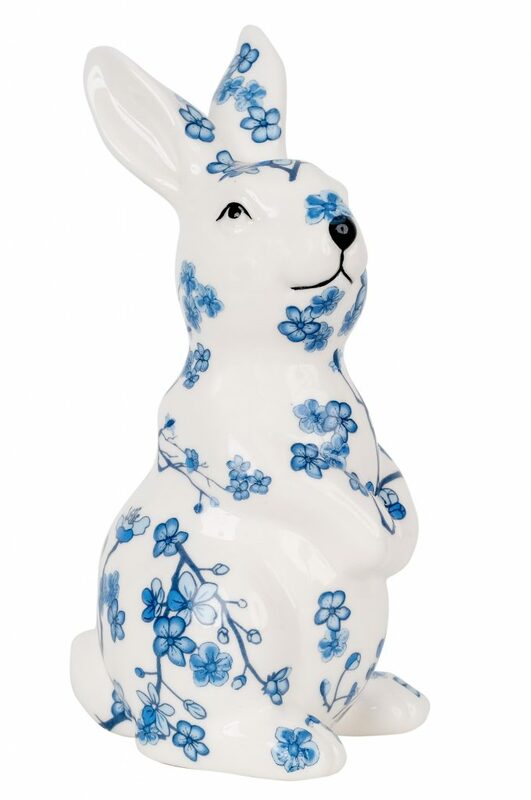 Melamine and rabbits fabulous. Look forward to HB mag. Have a wonderful Sunday Tina. thank you. 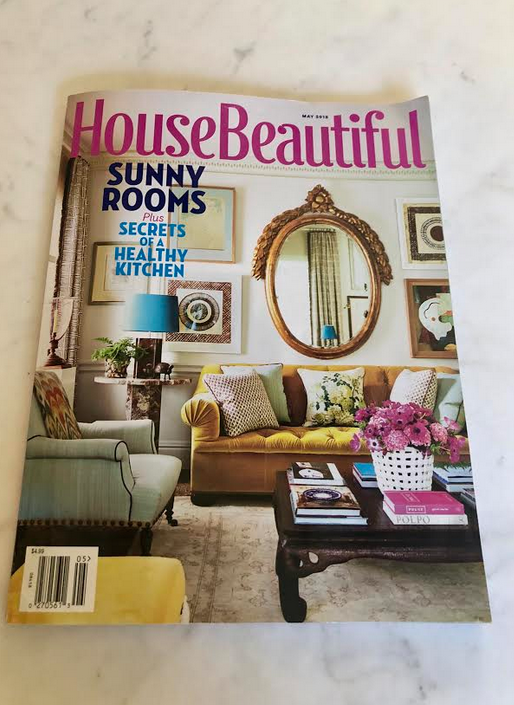 Congratulations on being featured in House Beautiful, Tina! 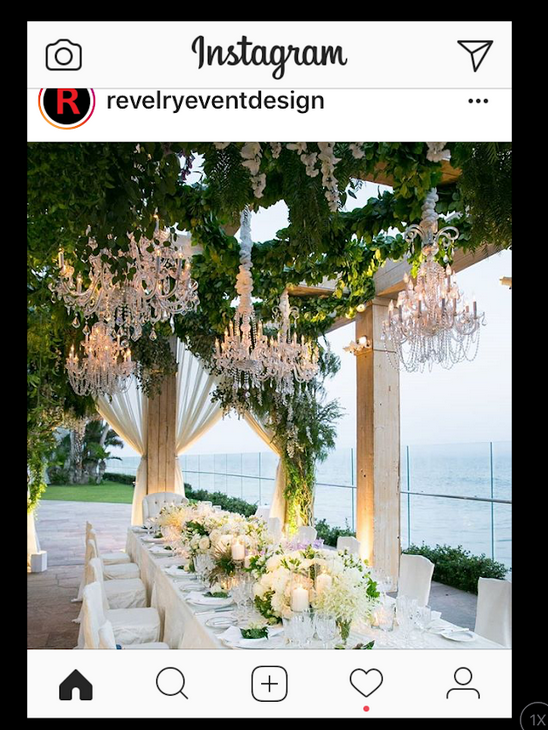 You certainly deserve it with your impeccable taste in decorating! 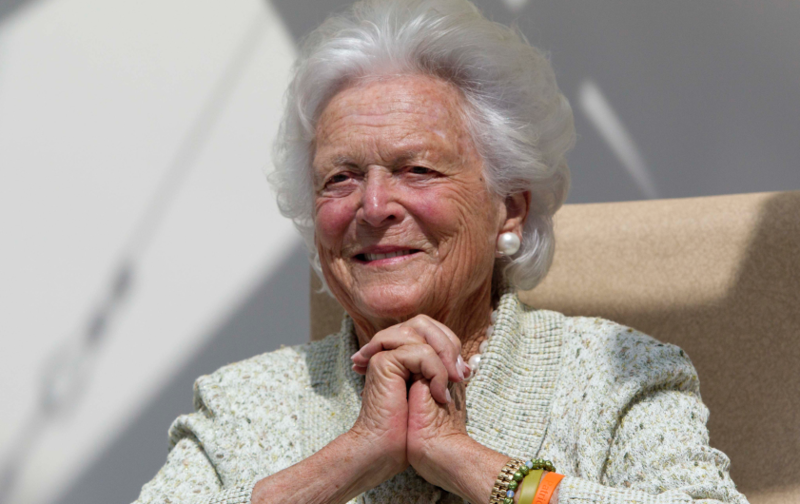 Thank you for the lovely quotes and photos of Barbara Bush–a wonderful role model! Hope you have a sunny day! I enjoy my coffee with peace and quite. Time to reflect. and started collecting years ago. Tina, a few years back when my daughter was living in Singapore, I was introduced to coffee with butter. Delicious and a super way to get “good fat” into my diet. I use Kerry Gold unsalted butter, but any European butter will do. Some folks use a blender, but I just stir it in. Bullet coffee. Who knew? 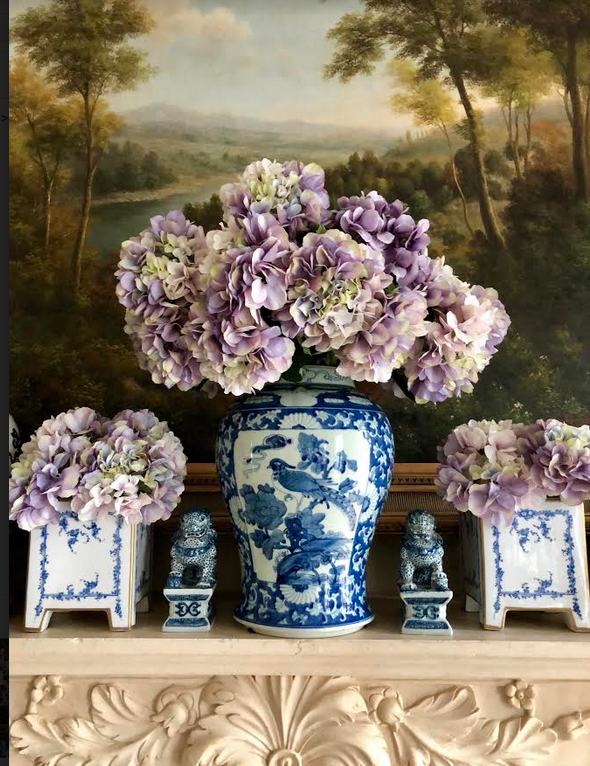 Hello, just wondering if the lifelike forsythia are part of your collection or if you bought them elsewhere? Would you mind letting me know where you got your beautiful slabs of Calcutta gold for your kitchen. Am newer to your blog and love it, so much inspiration. 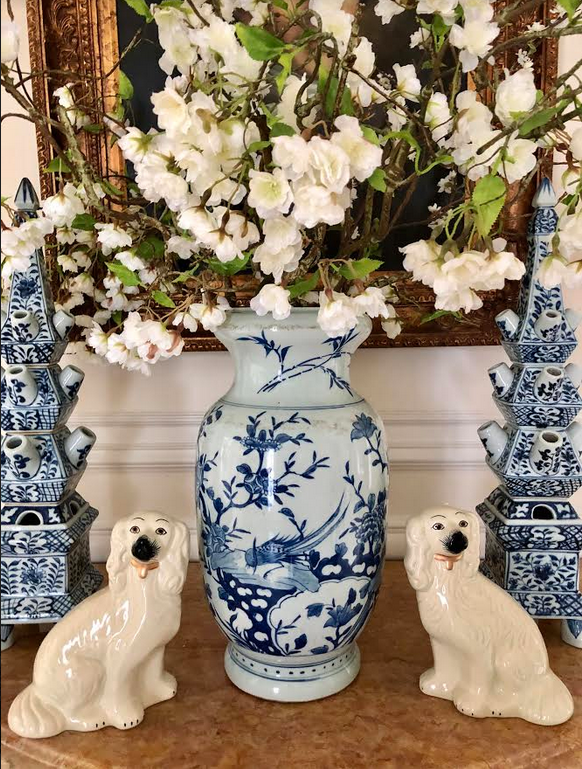 I just love all your blue and white and flower decorations, you have given me many good ideas. I also loved seeing your ornaments on that tree, cannot wait to get some of my own. Really enjoy your posts, so much better than reading the Sunday paper! 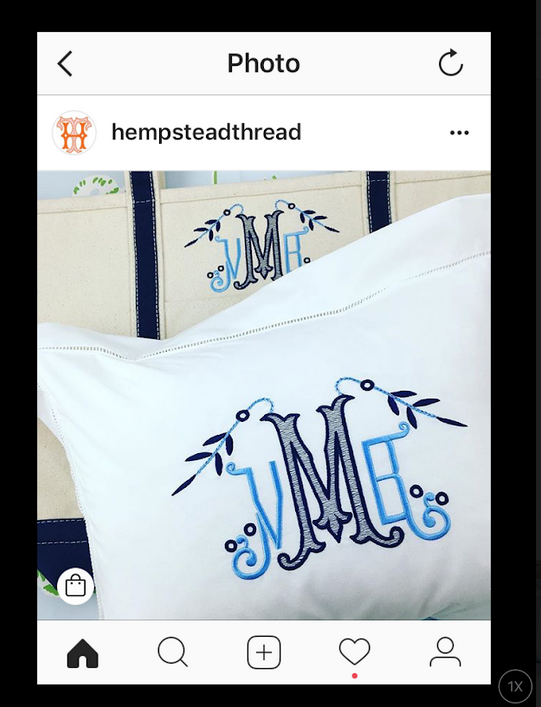 Loved your post today ! I am amazed that people would want to use coffee-mate. It is basically hydrogenated palm oil fats with added chemicals to make it stabilised, and have a long shelf life. The list of ingredients includes glucose syrup, hydrogenated palm oil (they cut down orangutan habitat to plant this crop), Dipotassium Phosphate, Emulsifiers, Silicon Dioxide, Sodium Hexametaphosphate, Sodium Citrate, Milk Proteins and acidity regulators and colouring. 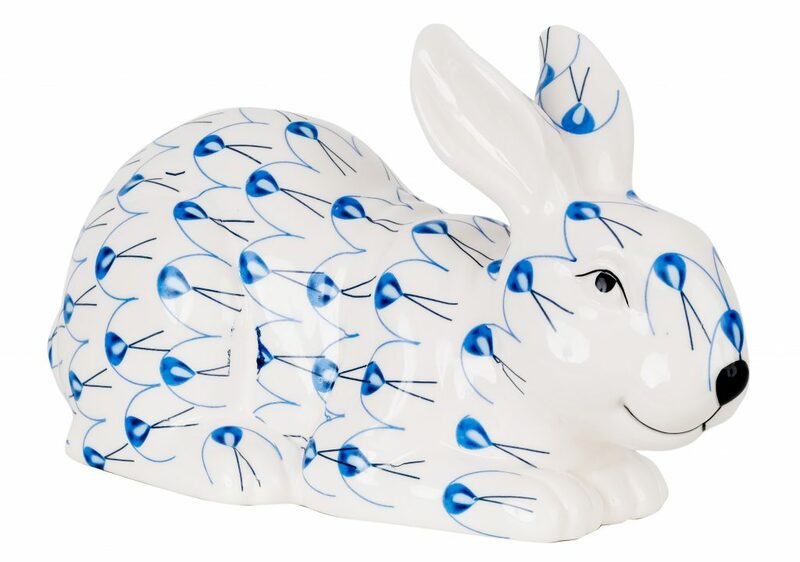 I can’t wait to see your ad with the beautiful melamine in House Beautiful. 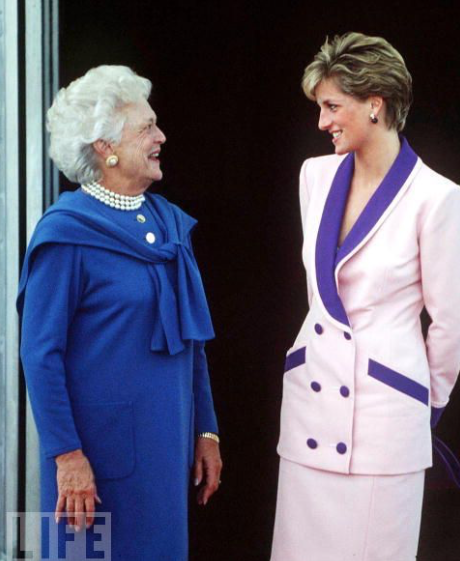 Thank you for the tributes to Barbara Bush. She was truly a remarkable woman. I visited the White House on a special tour with a group of ladies when she was First Lady and got to see her marvelous Christmas trees with the miniature books on them. 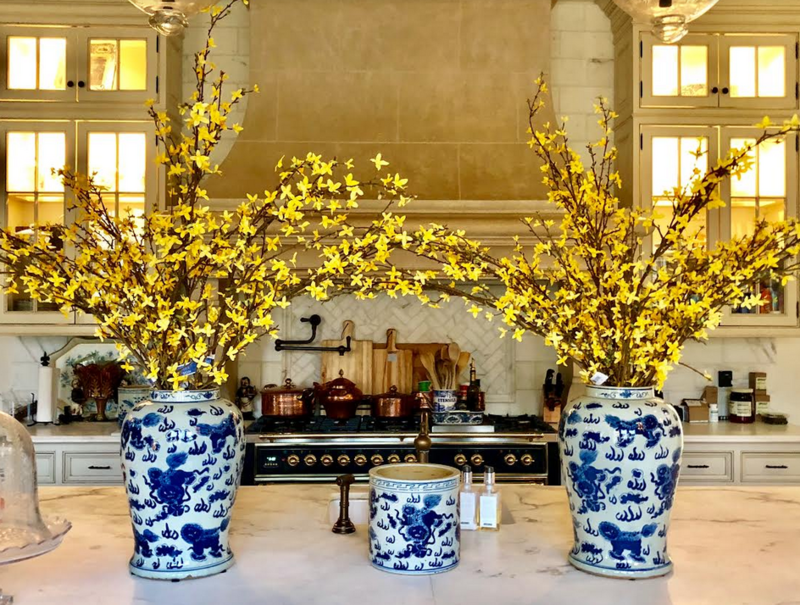 I was so taken by the decorations, I wrote a letter to her asking about where I could possibly purchase some of the gorgeous icicles like those that were on the trees lining the foyer. of the White House. One day while I was at work, I got a phone call from the White House, and the woman said that Mrs. Bush had received my letter, and asked that her secretary call me in person rather than write a letter. It was a moment I will never forget. I also sent Mrs. Bush a vintage Sugar Cookie recipe that I thought she might enjoy baking with her grandkids, and she sent me a very nice signed letter on White House stationery, which I still treasure. I watched her funeral in Houston yesterday and cried my share of tears at the passing of such a great lady. 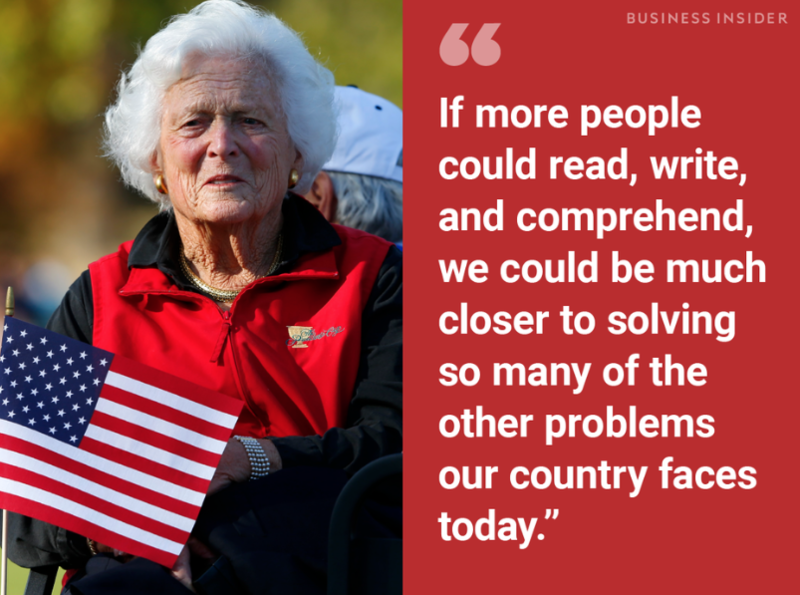 I wish we had more role models like Barbara Bush. Congratulations on your feature in HB! Several years ago, my husband became intolerant to caffeine. We went from 1/2 caff to swiss water decaf. I still have 3 cups of coffee a day, but no caffeine! I am going to miss Barbara. I always think of her in the bright blue dress with her pearls and shocking white hair and tan face like she enjoyed the outdoors. Her quotes are worth remembering and applying to life. Thanks for posting them. Congrats on your magazine mentions! 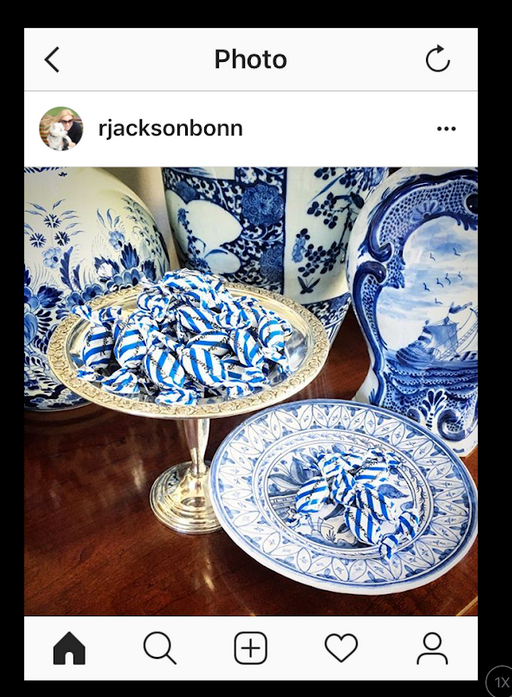 Tina…I love your term “blue and white tweaking.” I never realized that’s exactly what I do whenever I need to prepare for company or just give myself a lift around the house. It’s magical. 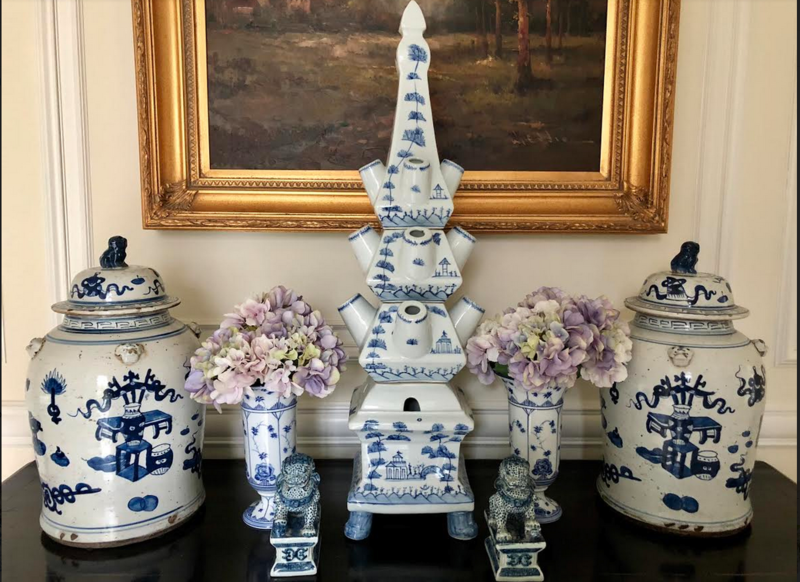 I can get a fresh new look just by rearranging my blue white vignettes! 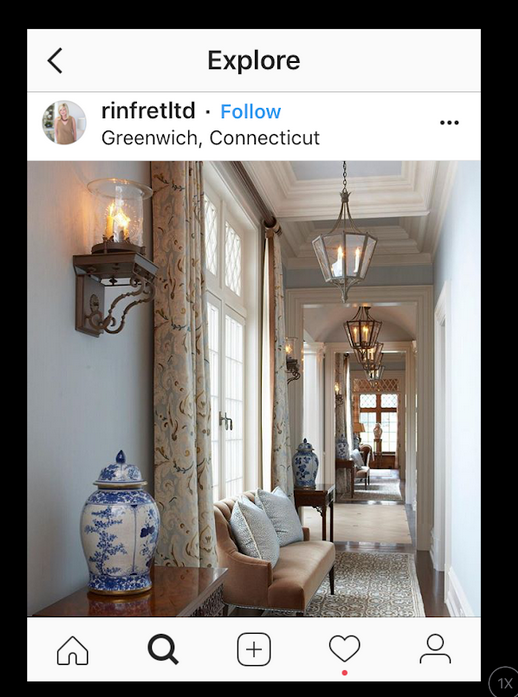 I would love to see a poll on how many of us simply “tweak our blue and white” when we have an urge to redecorate but are lacking the funds for a major overhaul. 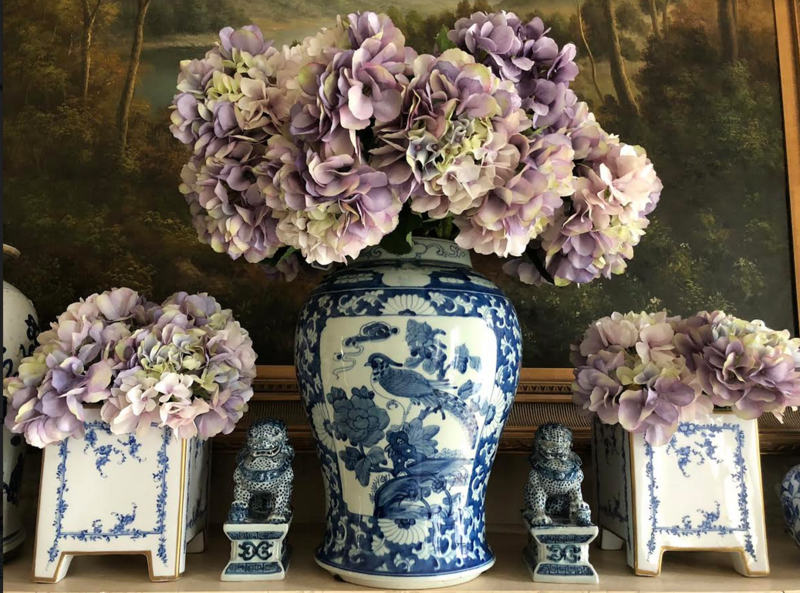 Thanks, Tina, for more inspiration, from a long time blue/white collector. 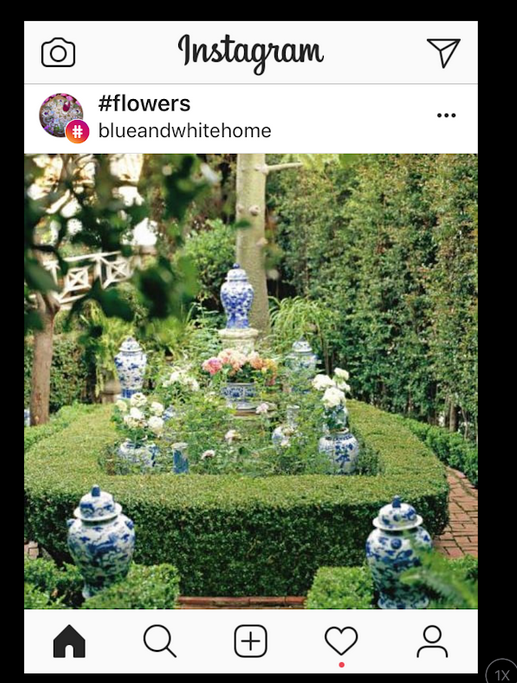 Enjoyed your Posts of First Lady Barbara Bush. She was such a wonderful woman in every way that matters. She was a woman that possessed so many important qualities; grace; strength, candor and incredible love and compassion. She will be missed and remembered. Enjoyed your Posts of First Lady Barbara Bush. She was such a wonderful woman in every way that matters. She was a woman that possessed so many important qualities; grace,strength, candor and incredible love and compassion. She will be missed and remembered. Most every day it is one cup of coffee for me but it has to be freshly ground and first in the morning… there’s something about that first hot sip! 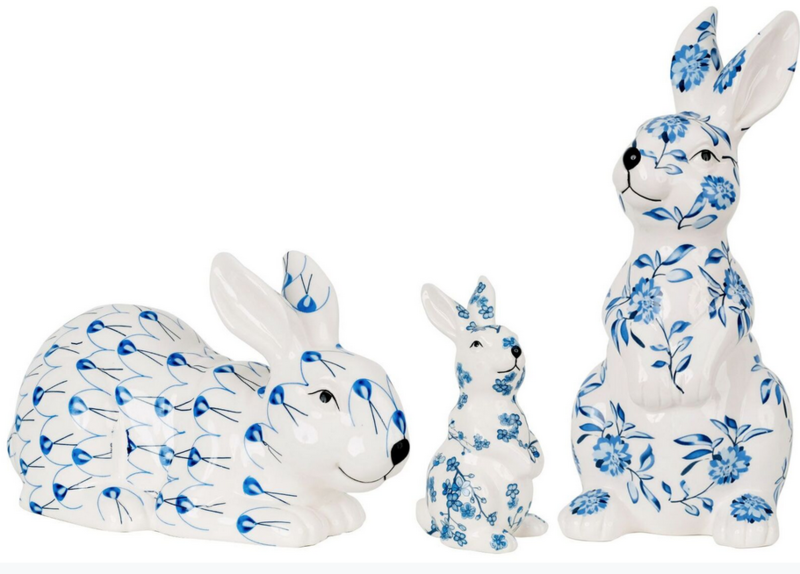 Your little floral bunnies are very sweet. 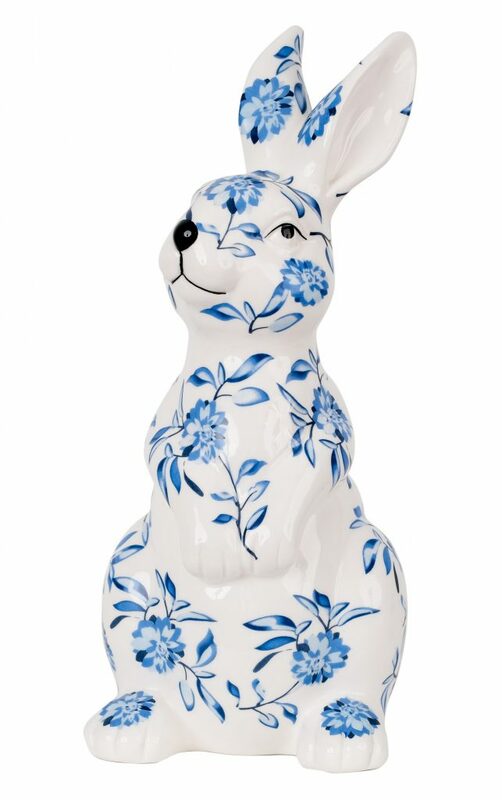 I have a few Herend bunnies in my collection so I must add one of the floral. Once again inspired by the pictures. Thank you for sharing. I wore my pearls Saturday to a Wedding in honor of Barbara. 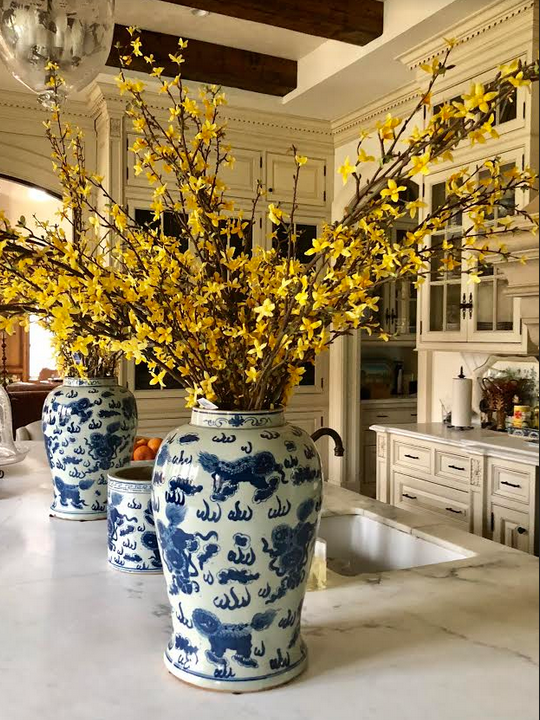 Where did you purchase the forsythia? Soooo good. 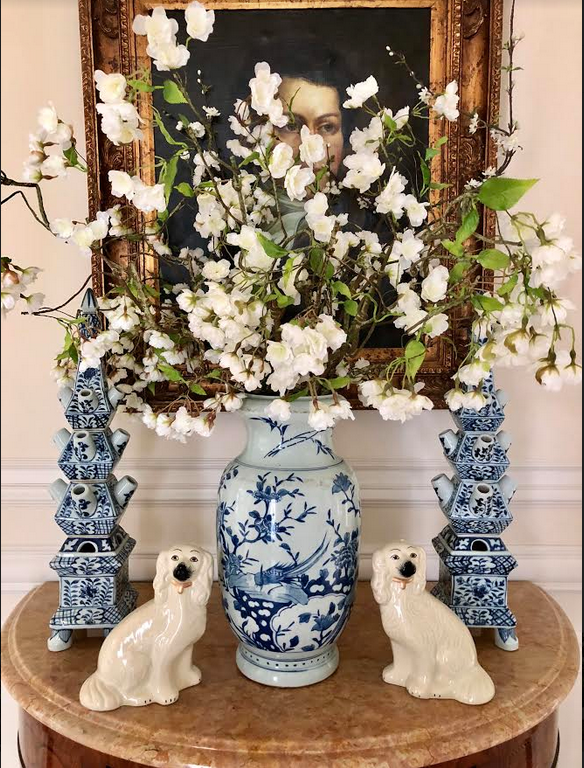 Yes, I saw the House Beautiful – congrats it’s gorgeous! 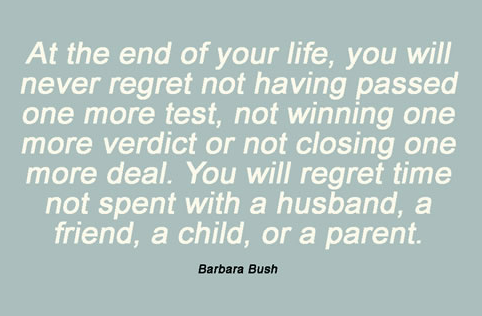 I was such a fan of Barbara Bush and love all those quotes. 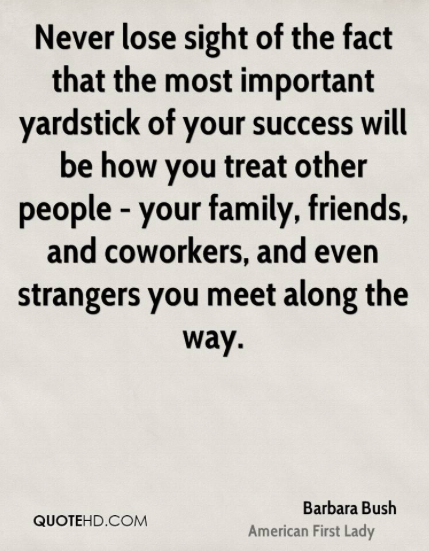 Great thoughts to live by. I don’t drink coffee at all but love the smell of it brewing. I drink tea everyday!